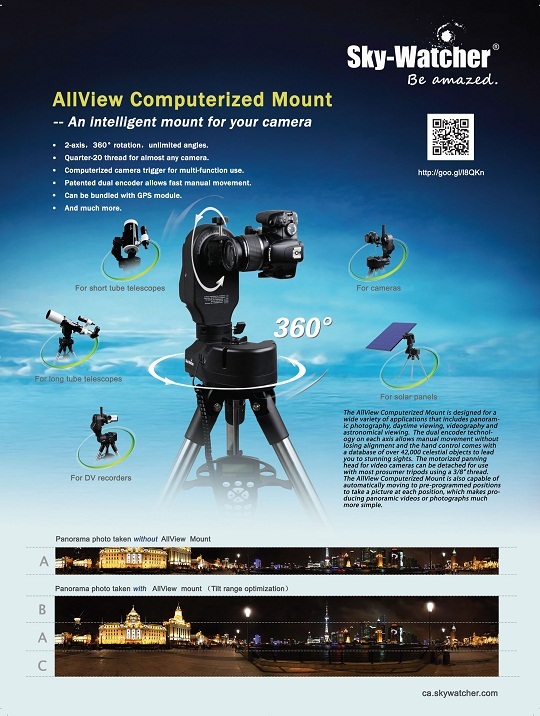 Sky-Watcher is proud to introduce its all new AllView Mount! This is a computerized mount that would be perfect for your camera. It is designed for a wide variety of applications that includes panoramic photography, daytime viewing, videography and astronomical viewing. If you are looking for a multi-purpose mount, look no further- this intelligent AllView Mount would be the perfect fit!